The long awaited reauthorization process for the Elementary and Secondary Education Act (ESEA) in the House of Representatives will get started this week. Chairman John Kline (R-MN) has called for a Full Committee hearing of the Education and Workforce Committee on ESEA laws. View a live webcast of the Hearing (please note that this feature is only available when Committee on Education and the Workforce hearings are in progress). The hearing will cover two bills sponsored by Representative Kline: H.R. 3989, the Student Success Act and H.R. 3990, the Encouraging Innovation and Effective Teachers Act. The hearing will begin at 10:00 a.m. Eastern in Room 2175 of the Rayburn House Office Building. The witness panel will be announced. 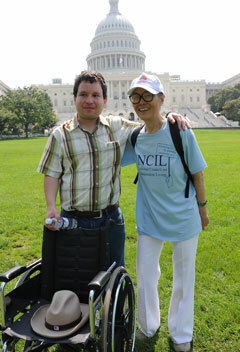 NCIL opposes H.R. 3989 and H.R. 3990 and has informed Representative Kline and the Committee! History: NCIL signed a coalition letter that opposes both bills as part of the Consortium for Citizens with Disabilities (CCD) Education Task Force. This letter was sent to Chairman Kline on February 6, 2012. Representative George Miller (D-CA), Ranking member, and each member of the Education and Workforce Committee were copied. Read the entire letter (PDF). See more information on the hearing. 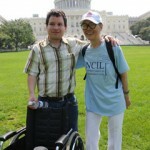 Please follow NCIL on Facebook and Twitter on Thursday, February 16, 2012! Contact Dara Baldwin, Policy Analyst, at dara@ncil.org with any questions!